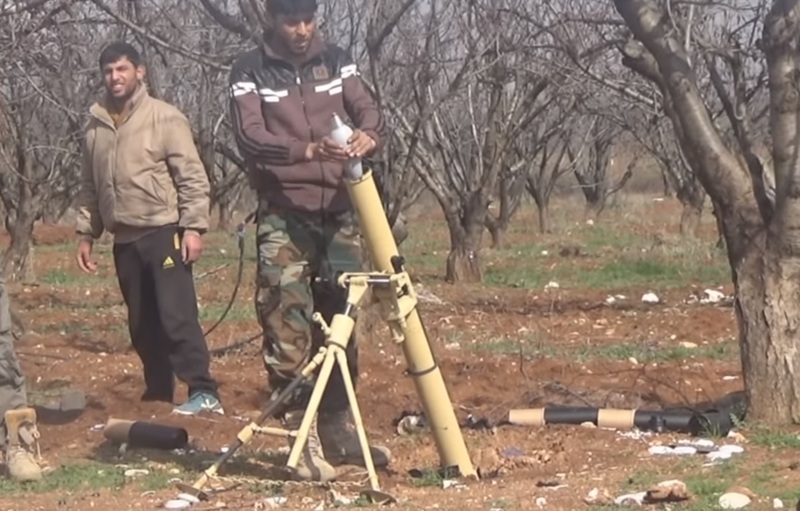 A video uploaded to YouTube on 26 February 2016 appears to show fighters from the Syrian armed opposition group known as Division 13 operating a Serbian M69A 82 mm mortar near Ayn Daqnah, north of Aleppo. The video title claims the fighters were targeting Kurdish PKK positions. The M69A mortar, and the 81 mm M69B variant, were designed by the Military Technical Institute (Vojnotehnički Institut Beograd; VTI) in Belgrade, Serbia. They are derivatives of the Yugoslavian M69 mortar, which is presently in the inventories of former Yugoslav republics and Afghanistan. The M69A is typically issued with the NSB-3 collimating sight unit, however it is also compatible with the earlier NSB-1 and NSB-2 models. In Serbian usage, the M69A is typically employed with a crew of four, however it sometimes seen in service with a crew of two (gunner and loader). On 17 February, ARES documented the presence of Serbian M02 12.7 x 108 mm heavy machine guns and M62P8 120 mm high explosive (HE) mortar projectiles in service with Jabhat Ansar al-Din near Quneitra, in southwest Syria. * When firing M84 projectile. H/t to Julian Röpcke and ‏@AbraxasSpa. Thank you for this entry. But, what characteristic features distinct the M69A from the 82 mm PM-37, which also equip the syrian army?